Hot off the PResses!, SheGotAccess, Turn off Ur Radio, We don't write rhymes we write checks! It has to be known that there are only a few standing notable DJ organizations still standing somewhere scattered throughout the industry. 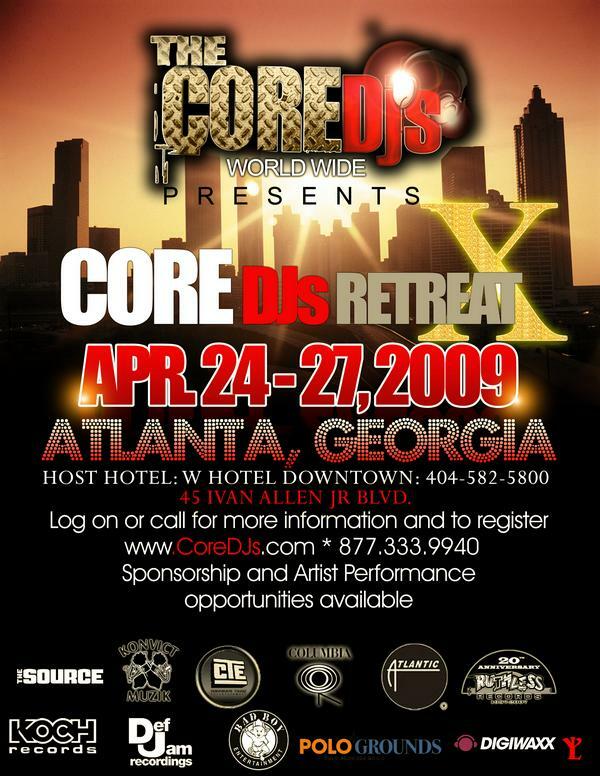 With the most influencial, the most recognizable, and without doubt the LARGEST DJ organization IN THE WORLD back in Atlanta for a second coming, this weekend is sure to be the “IT” spot to be this weekend. The roster is CRAZY stupid this time around with appearances and participation from all the hottest labels (Bad Boy, Def Jam, Atlantic, Konvict Music, CTE, etc…) and artists such as Nicki Minaj (wooo hooo! ), Cassie, Grand Hustle, French Montana, Kinfolk Kia Shine, etc. Below you will find the itinerary and please stay posted throughout the weekend as I post live video footage and photos on what’s going on. ALSO, for all my ATL TWEEPS, we are going to be live in Luckie Lounge tomorrow at 9:00p for the KnightCap ATL Tweetup! There is so much going on (BeBe Spring Preview, BMI Showcase w/ Nas & Songz) but we are going tp slip through for a moment to build & connect with our followers/following. Featuring The Konvict Muzik family: Akon, Bu, O, French Montana, Prynce, Vito, Jay Money, Colby O’Donis, Kardinal Official, Billy Blue, Rock City, Red Cafe, & Gypsy Stokes. Featuring Lil Scrappy, Willy Northpole, Playaz Circle, Rudy Currence, BXC and TK & Cash. •TJ Chapman, CEO, TJsDJs/Co-Manager, B.O.B. 5pm – 7pm: The New Artist Showcase Presented by Dirty Game Ent. Hosted by Jagged Edge, Jarvis & MORE!! So I ask, where will I see you this weekend?